to travellers looking for a quiet stay in a small but nice town, near the beach. Located in the beautiful valley of the river Temo, at short distance from the crystal-clear waters of the sea is the town of Bosa, with the Castle Malaspina on top of the hill surrounded by the tall houses of the old medieval town, gently descending towards the banks of the river and its palm trees. This is the first sight a tourist sees when coming to town; this is also a unique place in Sardinia in which the kindness and the hospitality of its inhabitants make you feel at home in this charming Sardinian town, rich in ancient remains. The town, on the west coast of the island, can be reached by panoramic roads: it is 52 km from Alghero airport, 70 km from the port of Porto Torres and 152 km from Olbia airport and port. Corte Fiorita is right in the heart of the old town and faces the river Temo; the hotel is a charming site composed of different ancient buildings close to each other. These buildings have recently been refurbished according to their original structure and they present a full range of facilities. Corte Fiorita is a hotel split into different sites around the medieval borough of Bosa. Since the rooms are located in the town center there may be, sometimes, a little noise coming from the street, especially during local festivals. Usually, however, Bosa is a very quiet and peaceful small town. Le Palme – The typical promenade alongside the banks of the river Temo, leads you to the reception of the Corte Fiorita: the building, dating back to the 17th century, is in front of the river and this is where you will find some useful information to make the most of your holiday in Sardinia. Some of the rooms in this buildings have river view. Some rooms on the third floor do not have a lift. I Geranei – Once you leave the river and the colourful fishermen boats behind you, if you keep on walking on the enchanted old paved roads, you will reach the medieval town, an area with ancient houses with stone decorations and beautiful arches: this is where you will have the chance to meet women working on the local traditional lacework, the Filet. After a short walk, you will get to the I Geranei site, which you will recognize by its warm red colour and by its cast-iron balconies. The rooms in this building don't have river view but overlooks the streets of Bosa. The building does not have a lift. La Vite and L’Oleandro – Some rooms are located at La Vite (no lift): they are 5 in total, divided on three levels. L’Oleandro has 6 rooms divided on four levels; it has a lift until the third floor. 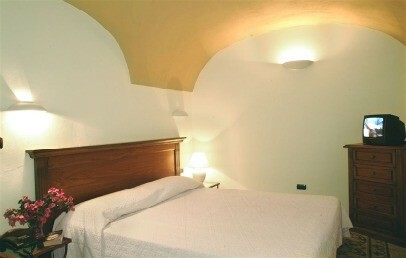 All rooms at L’Oleandro overlook the Piazzetta (square) or the old town. The hotel has Single Room Standard, Double Room Standard, Triple Room Standard, Junior Suite (1 to 3 persons), Suite (1 to 3 persons) and Suite (4 persons). 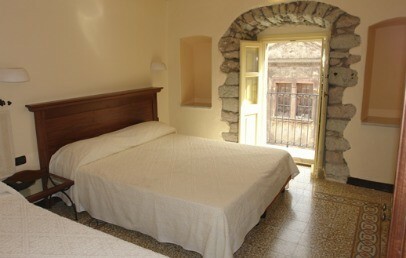 All rooms are confortable, furnished in Sardinian style with all needed conforts (air condition, TV, minibar, safe). All the bathrooms have a shower. Some of the Suites have two separate rooms, and a balcony with view on Bosa. Without any doubt all rooms are unique and have its own charme. The nearest beach is about 2 Km from Corte Fiorita; it is equipped with beach umbrellas and sun chairs. The Hotel offers their clients a rich breakfast buffet until 10,30 am. This is a fantastic area to explore by land or by sea. Bosa Marina is only around 2 km away, where the beach and sea is. Double rooms divided among all the buildings that compose the Corte Fiorita; they can be found on the ground floor or on the upper floors. 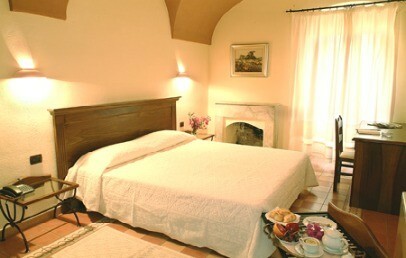 The style of the rooms is typical of Sardinia. The bathroom has a shower and complimentary toiletries. Some have a small balcony, others a window; they overlook the courtyard or the Piazzett (square). Free wireless connection. Double rooms located on the first, second or third floor of Le Palme. 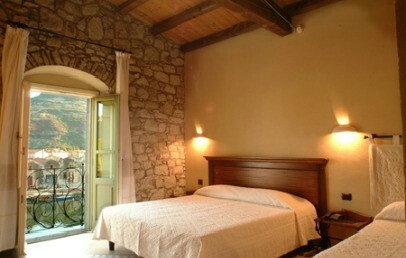 The style of the rooms is typical of Sardinia. The bathroom has a shower and complimentary toiletries. Some have a small balcony, others the window; all rooms have a romantic river view. Free wireless connection. Double rooms located on the third or fourth floor of La Vite and L’Oleandro. The style of the rooms is typical of Sardinia. The bathroom has a shower and complimentary toiletries. 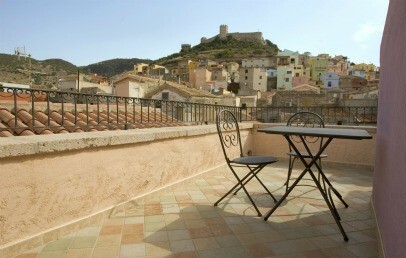 They have a panoramic terrace with view over the old town. Free wireless connection. 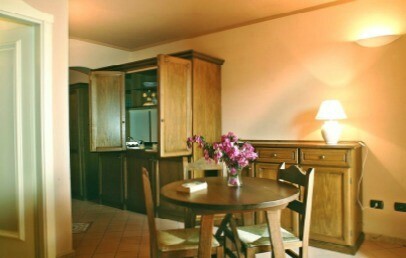 Suites with double rooms, located on the second or third floor of Le Palme and I Gerani. The style of the rooms is typical of Sardinia. The bathroom has a shower and complimentary toiletries. Suites have a living room, separated from a door or an arch. Some rooms have a small balcony and overlook the old town or the courtyard. Free wireless connection.